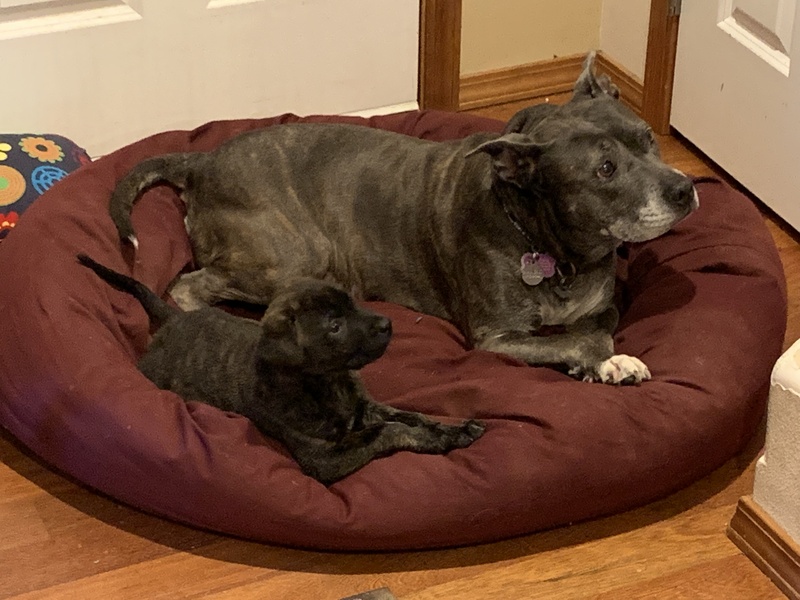 Our older dog Miley has a new little puppy friend. His name is Jetski. He was born at a local shelter just under two months ago, and we adopted him a few hours ago. Welcome Jetski.